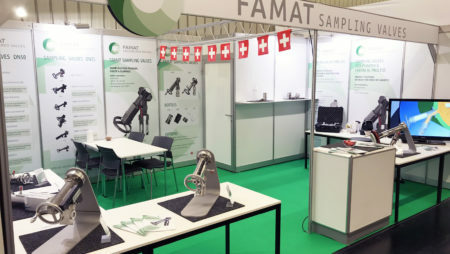 For all the situation in which the product is not easily flowing and could clug the sampling valve bore, 130CC has been developed by FAMAT. By moving the bigger handwheel, the piston is entering inside the vessel breaking eventual material deposit and allowing the product flow. Categories: DN25, DN25, Sampling Valves, Sparte Probenahmeventile.